On Saturday June 11th from 10:30-11:30 a.m. at Impact we will be hosting a prayer gathering for all those who will cross paths at Impact this summer. 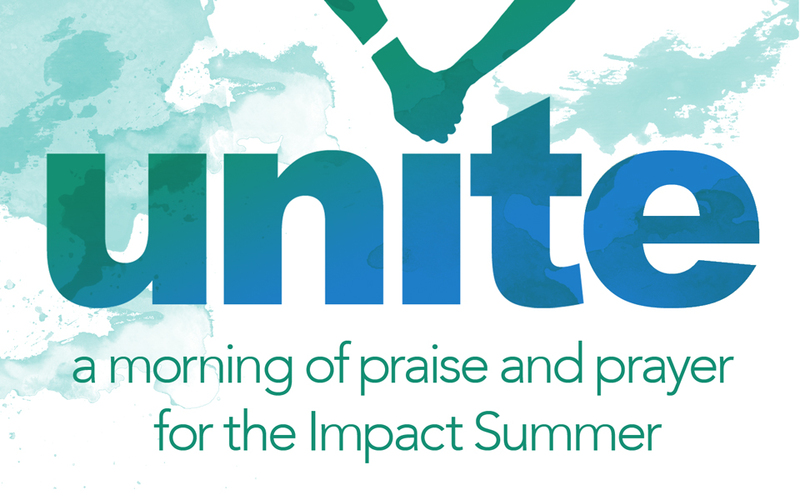 People from all parts of the city and state and country will unite for the purpose of inviting Jesus into the middle of all the activities, lessons, conversations, etc.- anything and everything that will happen at Impact this summer. For questions a ten.n1556058882otsuo1556058882htcap1556058882mi@se1556058882larom1556058882c ta 1556058882enilo1556058882raC l1556058882iame1556058882 or call the church office. Come and join us as we unite to approach the throne of the Creator.